INDIVIDUALLY DESIGNED TRAINING/ NUTRITIONAL PROGRAMMING, DESIGNED TO FIT YOUR SPECIFIC GOALS AND NEEDS. I do not believe in "Grab Bag" or "One Size Fits All" style programs, training, or trainers! Too much of that going on in "Big Box" gyms. 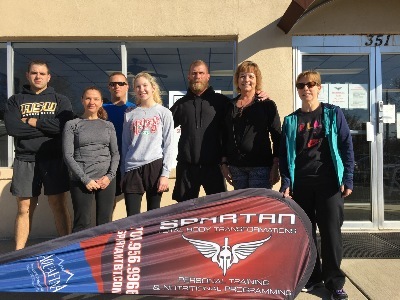 At SPARTAN TBT, each client's training/programming is tailored to fit them personally. Proper program design and implementation is the key to success and the fulfillment of your goals. Pricing is based upon the type and detail of the programming that you require. Contact me for specifics.
" You have only one body and one life. At SPARTAN TBT, we can afford you the opportunity to strengthen the first and lengthen the latter."